If it hasn’t become abundantly clear, we here at Cocktails, 365 are fans of the live theater. In fact, I was a theater major for several years before I made the jump over to journalism. My love of theater has continued on. Especially my love of Shakespeare. Now, it often sounds cliche to be a fan of the Bard. After all, he is pretty much universally considered the greatest playwright of all time. It’s pretty goddamned hackneyed to praise Shakespeares work. So much so that now days it’s trendier to bag on Shakespeare. Nevertheless, his bust still adorns one of the many bookshelves in the Cocktails, 365 library and we maintain he has justly deserved his reputation in the English speaking world. 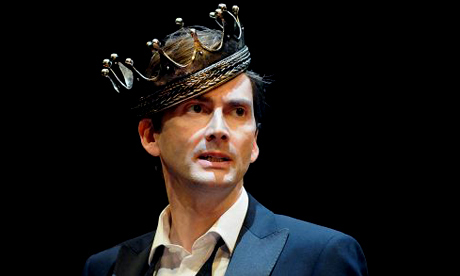 Okay, just one more of Tennant as Hamlet. ‘Sblood is a curse that was often pronounced during the times of Shakespeare. It’s a shortened “God’s Blood” which is a curse upon the blood shed by Jesus Christ himself. ‘Sblood was meant as a way to try and dance around the whole “Not taking the Lord’s name in vain” thing. Okay, we lied. Another Tennant Hamlet. 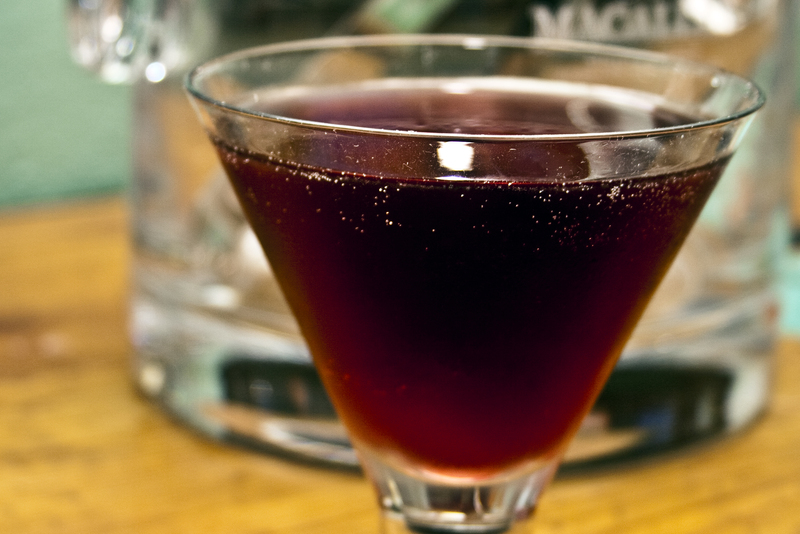 Combine the Zodiac and red wine syrup in a cocktail shaker filled with crushed ice. Shake well and then strain into a chilled martini glass. Top with tonic water and then serve. This has a heady, vino taste that bolsters the delicacy of the Zodiac vodka. To prevent if from becoming too heavy, however, be sure you float the tonic water.